Lisa Stewart is the creative genius who designs innovative leather goods for your contemporary lifestyle. At her business, Lisa Stewart Designs, she and her husband Andrew, handcraft unique, world-class leather goods right here in Raleigh and sell them globally. Lisa is an award-winning designer, artist, and CREATIVEGoddess and CEO of Lisa Stewart Designs. A blended spirit and visionary, Lisa’s creative intuition frees her to explore past techniques with today’s modern applications infusing art with personal lifestyle. After designing the CalligraphyPets® line of cat and dog illustrations, Lisa was motivated to exhibit her individualism the day of a party she was attending. Adopting the illustration of Bacchus, the showcase cat of CalligraphyPets, Lisa designed and crafted a two-toned leather crossbody bag and wore it that night. Two years later and a bag filled with compliments, Lisa embarked on designing and personally handcrafting a line of innovative and contemporary bags for ladies and gents. Building from the foundation of Lisa’s calligraphic illustrations, the clever creative is always pushing herself and asking “What’s next?” The simple answer to this question is that she finds new and unique ways for people to take their art with them. Today, she designs and handcrafts the perfect bag to fit lifestyles for customers around the world. Lisa’s work has also been seen on the silver screen and was asked to craft a mask for a superhero. Two years ago, she opened her first Lisa Stewart shop for fine art, leather and gifts in Raleigh, NC and now has plans to expand. Among some of Lisa’s accolades include being a NICHE Award Finalist celebrating creative distinction and innovation. Additionally, Lisa’s art and design have been highlighted in Strokes of Genius: The Best of Illustration, inaugurating a juried series by North Light Books and a contributor to Creative Workshop, 80 Design Challenges. As a strong pet advocate, Lisa donates design work and a portion of sales proceeds to local and national pet rescue organizations. Equally near to her heart, Lisa is also an advocate for local women groups, empowering low-income women and teens. An expert as artist entrepreneur, Lisa has contributed her business savvy and technology tips to The Artists Magazine, 2010 Artists & Graphic Designers Market, ArtistsNetwork.com, and hosts INDIECreatives.com, a coaching and strategy community for creative entrepreneurs. 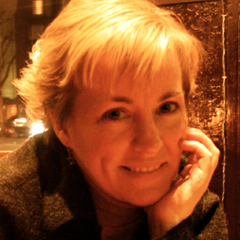 Lisa also specializes in helping galleries and fine artists cultivate their small business brand. Lisa & Andrew find inspiration in following wooden viking ships with with torches on Winter Solstice, corking a fine bottle of wine under shooting stars, making movies, playing designer to superheroes who need masks, and relaxing at home watching SyFy with their three cats. The Japanese Kanji stamp represents the name “Lisa.” Years ago, my good friend Sayuri designed this Kanji character for me because of my curiosity of Japanese identity. Wanting to use this Kanji character in a creative way, it made sense to apply it upon creating the CalligraphyCats. Now, I make sure that every art piece created by me has the character attached somewhere. P.S. No two Kanjis are the same; I think of it like DNA. If you’re name is Lisa, be sure to consult with someone from the Japanese culture to ensure the best suitable Kanji for you. I guarantee that your Kanji will be different and just as beautiful.